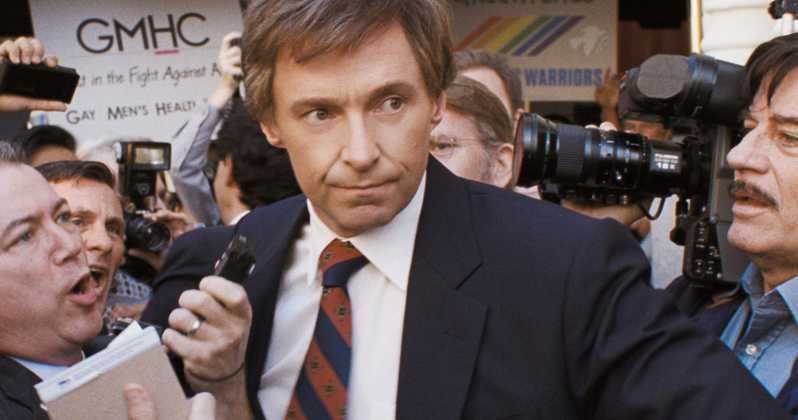 The thrilling drama The Front Runner follows the rise and fall of Senator Hart, who captured the imagination of young voters and was considered the overwhelming front runner for the 1988 Democratic presidential nomination when his campaign was sidelined by the story of an extramarital relationship with Donna Rice. As tabloid journalism and political journalism merged for the first time, Senator Hart was forced to drop out of the race – events that left a profound and lasting impact on American politics and the world stage. The film is a perfect example of the art of collaboration in film-making, with Jason Reitman directing from a script he co-wrote with Matt Bai, a nationally known journalist, author and screenwriter on whose book All the Truth is Out the film is based, and screenwriter Jay Carson, a former political consultant and veteran of the 2004 Dean and 2008 Clinton campaigns (also renown as the inspiration for Ryan Gosling’s character in Ides of March)—who had embarked on a new career as a creative consultant on House of Cards. When Reitman met with Bai and Carson, it was kismet. In the spring of 1987, a clear and undeniable front runner emerged in the race for the Democratic Party’s Presidential nomination: Colorado Senator Gary Hart—whose smarts, charismatic idealism and sheer excitement factor seemed all but destined for the White House and the making of a new chapter in American history. By April, Hart had opened up a gaping lead in the polls. Three weeks later, in a spectacularly public fall from grace, he was out of the race and Presidential politics forever. Jason Reitman’s The Front Runner explores the moment of Hart’s sudden downfall as a watershed for the nation. In this singular moment, privacy and publicity, politics and celebrity, journalism and gossip, new power structures and old power imbalances, high ideals and the most human flaws all seemed to merge and recombine—carving out a roiling new landscape with which we’re still reckoning today. Though Hart’s future was undone by rumors of a marital affair, The Front Runner doesn’t ask did he or didn’t he. Rather, it takes a panoramic view of the myriad charged reactions to what it meant for America. With the pace of a crime thriller, the film becomes a kind of political procedural, in which a restlessly mobile but even-handed camera captures the wide-ranging impact of the rumored affair on Hart’s marriage, on the young idealists on his campaign staff, on journalism and on society at large. Drawn from Matt Bai’s book, All The Truth Is Out, the film zeroes in on those very last few days in which Hart’s promise was upended. Hart (Hugh Jackman) is laser-focused on his ideas for remaking American leadership, while the press increasingly clamors to break open his personal side. When The Miami Herald receives an anonymous tip that Hart is having an affair, things get more than personal. An all-night stakeout of Hart’s Washington D.C. townhouse leads to photographs of an unidentified young woman coming and going. Hart, who has always decried the role of personal trivia in politics, tries to push on. But when the woman is named as Donna Rice (Sara Paxton), a Miami-based model Hart partied with on a boat named Monkey Business, frenzy spreads through the media. As Hart’s campaign manager Bill Dixon (J.K. Simmons) scrambles to stem the damage and Hart’s wife Lee (Vera Farmiga) grapples with her own complex response, Hart tries to stay above the fray, until that fray begins to swallow him. Reitman saw the film as a chance to chronicle, in the most detailed and alive way, the full tapestry of what was going on in that electric social moment—the last before the internet changed all, before the lines between politics, media and entertainment blurred beyond distinction. Like a mirror to 2018, the story reflects back the origins of our restive questioning over whose truth counts, whose power should be protected, which stories should be reported and what flaws we will or won’t accept in our leaders. Reitman was inspired to try to tell that story in a vibrant, kinetic way that would connect the present to the past without stamping any judgment on it. The form of the film became part of its function, with the film’s use of multiple POVs, hyperrealism and overlapping conversations amplifying its central theme. With close access to Hart and many of those who worked for, cared for and reported on him, Bai was able to tell the riveting story as no one had ever heard it: from the perspective of the world it foreshadowed. Bai says now that part of what motivated him to write the book was the realization that just as Hart’s story was fading into the background, it seemed more urgently relevant than ever, especially as scandal seemed to be outgunning substance daily. Even as Bai was doing traditional reportorial work for his book, he was pursuing what was then perceived as a diversion: attempting his first fiction screenplay, which originally had nothing to do with Hart. He’d partnered with his good friend Jay Carson—a former political consultant and veteran of the 2004 Dean and 2008 Clinton campaigns (also renown as the inspiration for Ryan Gosling’s character in Ides of March)—who had embarked on a new career as a creative consultant on House of Cards. The more the two talked about it, the more it became clear that they could bring an uncommonly inside view, having each worked opposite the other in presidential campaigns: Bai on the media side, Carson on the campaign side (the pair first met in 1999, when Bai was covering Bill Bradley’s campaign and Carson was an advance man for Bradley). They knew the language, the gallows humor, the incessant pressures, the intensity of the friendships and both had personally grappled with the questions about media and democracy that Bai’s book was exploring. The research Bai shared with Carson, along with his own, highlighted to him to him how much Hart’s ordeal anticipated a new era in politics. Things have clearly only escalated, with scandals becoming more absurd, media doubling down on the outrage and the symbiosis between policy-making and showmanship now so thick it is impossible to untangle. Bai and Carson were still in the early stages of writing in 2016 when Bai appeared on WNYC’s innovative, big-idea-wrestling podcast Radiolab talking about the 1988 campaign. Unbeknownst to Bai, one of the listeners was Jason Reitman, a long-time fan of the show. Reitman was riveted. Reitman is known for engaging with the deeper fabric of modern life in fun and energetic ways, satirizing the world of spin in Thank You For Smoking, upending all the expectations of the teenage pregnancy drama with the Best Picture Oscar-nominated Juno and excavating the human costs of economic limbo and corporate layoffs in Up in the Air (nominated for six Academy Awardsâ). Still, The Front Runner would be in many ways his most thematically and certainly stylistically ambitious work to date, which was part of the allure. Not only did they have a natural rapport, but Reitman brought in ideas that changed the whole tone and tenor of the script. The first thing Reitman did was invite Bai and Carson over to watch Michael Ritchie’s 1972 film, The Candidate, often considered the seminal take, albeit now four decades old, on the selling of modern political candidates. Starring Robert Redford as a high-minded lawyer who makes once unthinkable compromises on the road to becoming a California Senator, the film is beloved for its frenzied, simulated realism and its skewering of how substantive promise can be transformed into sheer image. Bai and Carson had already developed their own writing method—one would write for a while then hand the draft to the other, who would start back from page one, rewriting before advancing the story again. This way the voice remained consistent even as both their ideas were integrated. Another key idea Reitman brought in from the start was to nix the expected first-person, singular POV. Rather than have Hart or even Donna Rice tell the story, Reitman thought: why not replace the central narrator with a neutral, panoramic view that gives each of the rich panoply of characters a voice without assigning anyone the role of hero or villain? The trio also shared an acute sense of humor that kept the screenplay light even at its most barbed. This, too, was a mirror of reality. Along the way, Reitman met with many of the real players in the film, including Gary Hart, Hart’s daughter Andrea, Donna Rice, as well as many of the campaign staff from 1987. As much as Reitman, Bai and Carson chased reality, there remained unknowns. “There are of course many moments where we didn’t know exactly what was said behind closed doors and that were never documented so that’s where some imagination came in,” explains Carson. Bai had come to know Rice while researching his book. “So often, the women in these situations get cast aside or mischaracterized. But Donna is a far more complicated person than was depicted at the time, and we wanted to make sure that was in the writing. You have to keep in mind that there was no playbook for her in 1987—there was no one who’d gone through that in American politics before. So it was vital to us to tell her story with compassion and complexity, to show her dignity,” says Bai. Ultimately, with no one character given predominance, each of the actors’ deft portraits combined into a mosaic to become more than the sum of their parts. “That was the clarity of vision that Jason brought to it,” sums up Bai. The script’s multifaceted approach—and its mix of raw humor and unvarnished humanity— spurred the dedication of two producers who saw it as an exciting leap for Reitman: Helen Estabrook, who works with Reitman at Right of Way Productions and produced the Oscar-winning Whiplash; and Aaron L. Gilbert, whose BRON Studios is a champion of bold storytelling and worked with Reitman on Tully. Both understood the risks. The film would be a challenge to shoot, with its emphasis on improvisatory cross-talk and parallel action, its roving, unpredictable camera and its insistence on not judging characters who without realizing it in the moment are seen changing the American trajectory, and their own lives, with their decisions. But they also felt Reitman had full control of it. “I trust Jason implicitly. He’s both a friend and a great creative partner,” says Gilbert. Estabrook notes that it’s hard to look at the film’s thematic swirl without seeing where we are in 2018. With so many pieces combining to make the final film, everyone involved was thrilled to see it all come together as Reitman had hoped: forging its own 1987 universe while reflecting on current times.